The Director General of Ikemba Ojukwu Centre, Owerri, Dr. Samfo Nwankwo has announced the convocation of a special Conference to identify, isolate and arrest the cause of backwardness of Ndigbo in the Nigerian nation, especially in the last 16 years. He also disclosed that the Centre was putting finishing touches on a private member bill to be sent to all the Houses of Assembly in the South East to make the teaching and learning of Igbo language compulsory in all schools in Igboland. Dr Nwankwo in a statement in Owerri, the Imo State capital regretted that Igbos who were on the commanding heights of the military politics, academia and commerce before Nigeria’s independence were now at the lowest rung in the nation’s socio-political and economic development. He noted that apart from descending from such heights, the race was now suffering cultural identity crisis as the Igbo language was on the verge of extinction. “After a painful analysis of what has been the lot of the Igbo recently, the Ikemba Ojukwu Centre, Owerri is convoking an emergency conference involving all prominent Igbos and groups for a deep soul searching for us to know where the rain started beating us”, he said. 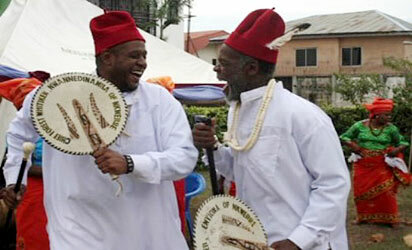 Dr Nwankwo who is also the Special Adviser to Imo State Government on Igbo Affairs disclosed that the conference which will hold in Owerri by February this year will have in attendance political, academic and religious leaders, traditional rulers, town union presidents, women organizations, youth groups and Ohanaeze Ndigbo among others. He said the theme of the conference will centre on the re-invention of Ndigbo after a thorough examination of the cause(s) of its current woes, while the five South East Governors will co-host the event. According to him,”This is going to be the greatest gathering of the Igbo nation with the sole purpose of seeking a solution to our current travails”. Saying that such a gathering will not pose any threat to Nigeria’s unity, Dr Nwankwo made it clear that most of the problems confronting the Igbo nation were self-inflicted that needed internal mechanism to resolve. “It is defeatist for us to blame anybody for our woes in the nation. The finger should first point at ourselves. Our greatest problem today is the erosion of our core values with our language about to vanish”, he lamented. Dr Nwankwo said as part of efforts to address the challenge, the Ikemba Ojukwu Centre was putting finishing touches on a bill seeking to make the teaching and learning of Igbo language compulsory in all schools in Igbo land. “We intend to push this bill through in the five State Houses of Assembly in Igbo land. Our goal is to ensure that our vernacular is taught in all schools from primary to tertiary in Igbo land”. Dr Nwankwo who is the founder of National Union of True Igbo Movement (NUTIM) said the Centre is also commencing a lobby for the Houses of Assembly to use vernacular at least thrice a week during plenary.